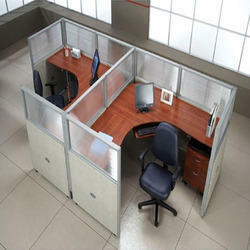 Matching up with the requirements of our clients, we are involved in offering Office Cubicle. Price range: 2000 rs to 15000 rs. Size: All sizes depending upon user-specifications. We are instrumental in providing glass work for Office Cubicles. These services are rendered as per the requirements and specifications laid down by the clients. We use high quality material to provide these result-oriented services within the stipulated time-frame. The cubicles designed by us vary in sizes, dimensions, patterns and designs, depending on the available space. 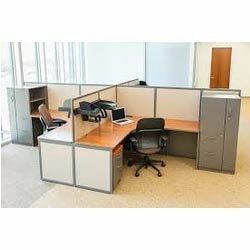 We are a leader in manufacturing and supplying of high quality and durable Office Workstations.